Home » creative » movie » photo » slogan » Win exclusive "The Avengers: Age of Ultron" Movie Premiums! 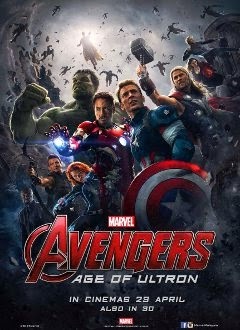 Win exclusive "The Avengers: Age of Ultron" Movie Premiums! Dress up & give Cinema Online your best pose as your favourite Avengers superhero. Tell Cinema Online "Why is this person your favourite Avengers superhero?" Submit your photo & answer complete with your contact details (Full Name, I.C Number, Phone Number & email address) to contest@cinema.com.my with the email subject "The Avengers: Age of Ultron Contest". Entries with the best pose and slogan win! Visit The Avengers: Age of Ultron Contest page for more details.